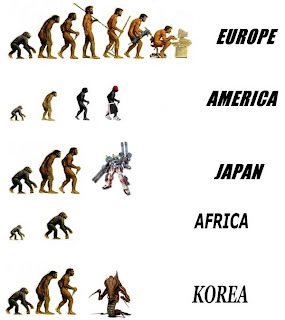 Just a quick post about the Evolution of Man. Trust me, this is Warcraft-related, more specifically Starcraft. 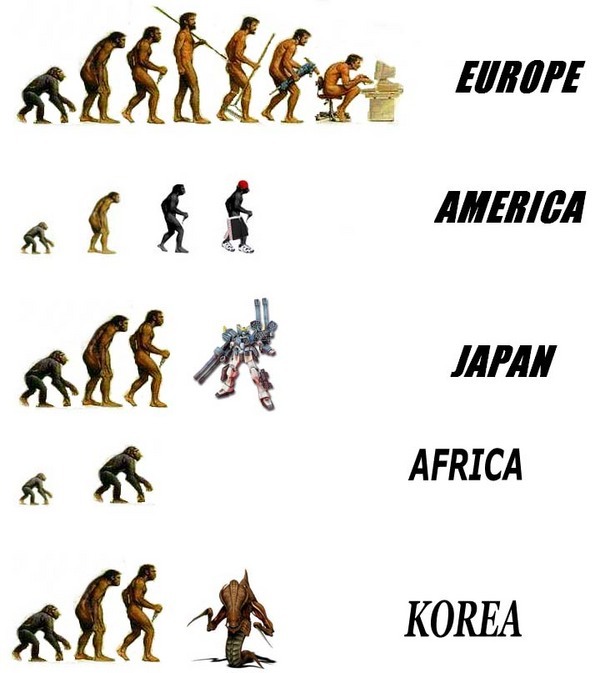 For those of you who don't understand the picture, the last image for Korea is that of a hydralisk, a Starcraft unit from the Zergs. Read my post Salaries of Korean Starcraft Professional Gamers(Progamers) to see how big Starcraft is in South Korea. Disclaimer: I did not make this picture. World Peace, Make Love not Warcraft.